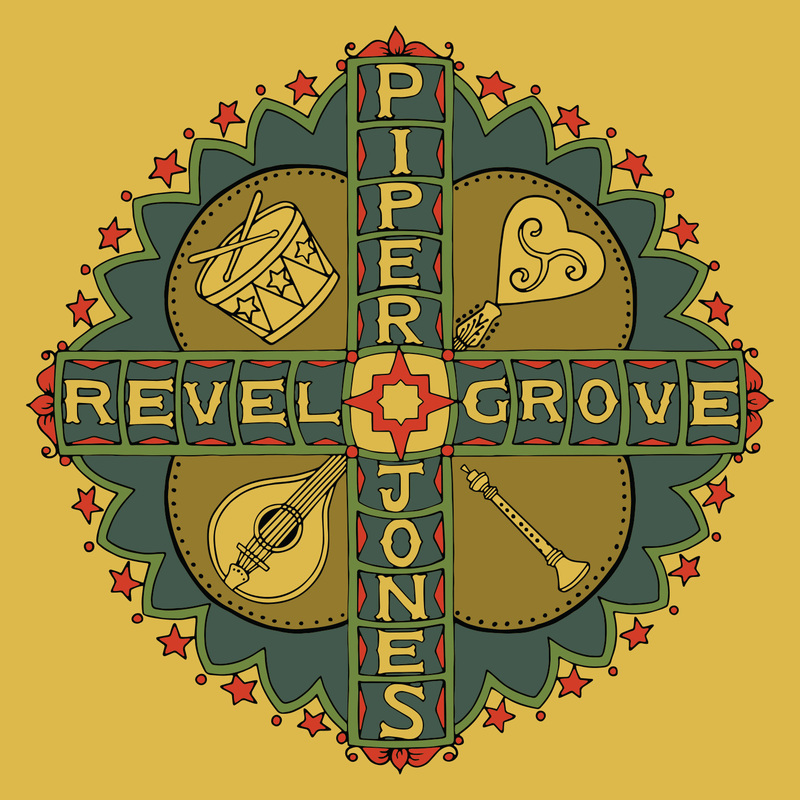 The following are tracks from the album Revel Grove, which represents the music we play at its namesake festival, aka the Maryland Renaissance Festival. The highlighted track name is a link that can be downloaded. This first tune was played in the St. Thomas Alumni Pipe Band’s 2015 competition medley. STAPB is a Grade II band from Houston made up of former students of St. Thomas Episcopal School (where I was taught to play) and pipers from some of Houston’s piping community including the former Hamilton Pipe Band. Playing in a pipe band at some point is essential for any real piper and piping culture is spread out all over the world. Most pipers aspire to go to the World Pipe Band Championships in Glasgow at some point in their lives, and STAPB has gone almost every year of the 2010s. Piping is a very social instrument and it’s a good way to make friends through music. 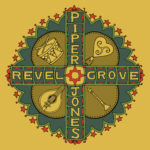 Pipers all over the world share a very common repertoire and pipers of any skill level can generally find a group to play with wherever they live. The second reel in this set is one I’ve known for a long time but I can’t remember where I first heard it. That’s the case sometimes with tunes. A lot of music is learned by ear and I think I learned this one from a live Solas or Altan show about 20 years ago. If anyone knows its real name and composer, please message me! These four tunes were written over the course of MDRF (Maryland Renaissance Festival) 2015 and we have been teaching a Breton dance to them, closing the day with them. The were composed in the style of An Dro, a traditional dance, but I’ve been told they don’t really fit, so that must mean they are American tunes. We start the set by teaching a traditional dance but after a few minutes at the festival it evolves into something else. That’s how we do it here. I first met Richard Kean in 1997 and over the years have learned a lot of his tunes. We were in a band together for a while and he would play this tune as a solo sometimes. I got it in my head and started to play some harmonies to it after a while and we started closing shows to it. Richard is still one of the most original and clever piper-composers I’ve ever known as well as a wonderful friend. I met Klaus Weiland at Revel Grove in 2004 and have been amazed at what a great storyteller he is as well as how patient and able to see the best in people. In my mind he embodies the spirit of what makes a place like the Maryland Renaissance Festival special. He and his partner Ingrid and their daughter Chela have been making the shoes of the citizens of Revel Grove for decades and enriching the lives of everyone they meet. Ever since I was a little boy I dreamed of being part of a village like Revel Grove, and when I was 17 I got my first chance to work at New Market Village (aka Texas Renaissance Festival) with the man who gave me some of my first gigs — Lars Sloan. This is the type of set we would play in those days, before CDs, before Braveheart, when we were the only people at the faire wearing kilts, and our job was to lead the parade. The night before our first gig together in 1991 Lars suggested we play some of these tunes and he came up with the ending to this set and the name of the band: Clandestine. Even though TRF is no longer the kind of festival that would hire a band like us, that spirit lives on elsewhere and in our hearts. Frances found this first tune in a far distant land on her journeys to collect the most beautiful tunes in the world. She searched and searched and sifted through pages of tunes before looking in on a performance at a wedding. I thought the tune was too easy when she brought it to me but now we play it. The second tune she composed herself, and the third I wrote while trying to outdo the composition of a famous piper overseas who had written a tune for some of our patrons, the owners of the Granada Gallery. It has been many, many years since I have been in control of a recording of my own performance of these tunes. Jeremy Freeman, a piper I went to school with, and I put this set together and I came up with the break in the middle, back in 2005. Another jig from the competition medley of STAPB 2015. We sang this tune as a band, on the bus the day of the competition. A lot of this music is mastered through singing it, and tunes learned this way will stay with you for life. “Conway’s Farewell” by Dougie Pincock was one of my favorites when he played in the Battlefield Band and I was a teenager listening to their tapes over and over. The last tune I loved from the Tannahill Weavers and was beside myself when the Pipe Major of the Hamilton Pipe Band, Donald McPhee, transcribed it into our competition medley in 1991, the same year I started playing festivals. Donald was a musical pioneer of that time and gave the band some uniquely beautiful tunes that reached outside the old repertoire of tunes. The first tune is a song originally written and beautifully sung by Archie Fisher and later increased in popularity by Stan Rogers. It tells the story of a knight who awakens in a field after being wounded in battle. He is delirious and imagines the animals talking to him, giving him advice on how to survive by finding a woman in a mysterious lake far away. He finds his way to her and when she appears, he is so stunned by her that he tries to fight her, then to flee, but she seizes him and kisses him three times, and he wakes up with her completely healed and now invulnerable from being harmed ever again. We get some help from a very supportive JM Veillon on the flute, who gave Frances and me some coaching in how to approach the dance tunes we put with the first tune. It’s another case of the unknown tune title and some artistic license taken calling the second tune “Brian Elrick’s Bucks (of Oran Mor)” Brian Elrick was one of the winners of the MacAllan trophy in the 1990’s around the time I first went to the Lorient Interceltic Festival. His solo started off with this tune (our second tune) and then went to “Farewell to Erin” and I loved the way he phrased it so much that I’ve been putting those tunes together ever since I first heard his performance on a festival benefit CD. The first tune “In and Out the Harbor” is a popular go-to-reel for concert pipers like me. It comes off the fingers easily and that’s the beautiful composing of Allan MacDonald.